There are a lot of good reasons to start a record label, whether you’re an artist or a music entrepreneur. 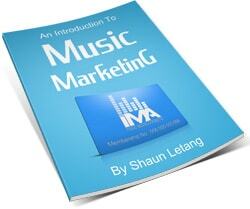 You can increase your credibility inside and outside of the music industry. You can tap into more revenue sources, especially as an artist. You can begin to build a recognizable and influential brand. But registering a record label doesn’t need to be complicated, nor does it need to cost an arm and a leg. So, here’s what you need to know about starting your own independent label and a couple of ways you can go about it. Is There An Easier Way To Set Up A Record Label? I Don’t Have $600 To Spend – How Do I Go About Setting Up A Label? Should I Set Up A Website As A Label? How Do I Take My Label To A National Level? Registering a record label isn’t necessarily complicated, but it can take time. So, be patient with the process as it unfolds. This isn’t necessarily the right time to start making a logo, designing a website or getting your business cards printed up. What you want to do is a bit of homework. Research the labels that are out there, especially those who’ve signed the kind of artists you’re thinking about working with. And, if you’re just starting your label for yourself, that means you. 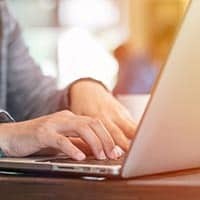 Find a unique name for your business that hasn’t already been taken. This will save you a lot of trouble down the line. While you’re at it, check domain names and social media accounts to confirm that the web addresses and usernames you want are still available. That’s the main thing here – do your research and come up with a unique name for your business. The exact specifics of registering a business and cost will vary depending on your region. But the process is generally simple. Where I live, it’s just a matter of going into the registry, choosing a business structure and paying a fee to register the business name. Most likely, you’ll be setting yourself up as a limited liability company (or LLC) but Sole Proprietorship and S corp are also common options. Be sure to research local laws, regulations and restrictions. You’re going to want to protect your intellectual property (and your artist’s, if applicable) and do it all by the books. 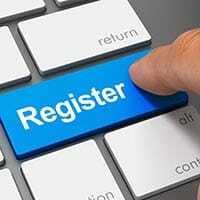 You can easily find out more about registering a business in your locality by Googling it. And, if you’re confused about the process or need any help, your best bet is to turn to a qualified attorney. They might expensive, but they will help you avoid any costly mistakes you could make on your own. As a label, you’ll want to join a Performance Rights Organization (or PRO) just as you would as an artist. If you’re in the States, that probably means ASCAP or BMI, and if you’re in Canada, SOCAN. Regardless of where you’re located, there should be a local PRO you can join. PROs collect and distributes royalties earned from broadcast and performances, helping you collect on all monies owed to you. Next, apply as a recording rights owner and get a Registrant Code with the Recording Industry Association of America (RIAA). This will give you the ability to assign International Standard Recording Codes (ISRCs) to your music, music videos and so on. 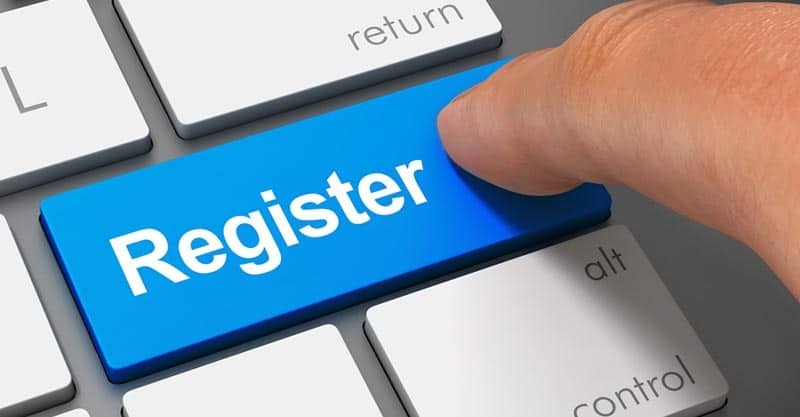 Your Registrant Code entitles you to 100,000 ISRCs. The ISRCs should be registered with Nielsen SoundScan. They will track and report on your worldwide sales, airplay and other broadcasts. This data is incredibly valuable as a business owner. Plus, music charts are mostly based on Nielsen data. If the business structure you’ve chosen is an LLC or S corporation, then you may want to become a member of the RIAA as well. Just so you are aware, an S corp has certain tax advantages over standard corporations (C corp) though you can’t have more than 100 shareholders. Shareholders must be U.S. citizens too. The RIAA distributes Gold, Platinum, Multi-Platinum and Diamond awards. So, apply after your artists have started gaining momentum. Though not necessarily costly, you can’t exactly register a record label without incurring some fees. The filing fee for an LLC in New York is $25. 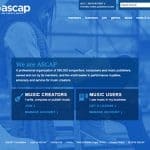 Joining ASCAP costs $50 for each application submission. But they don’t charge annual dues or fees, and that’s good to know. A Registrant Code with ISRC costs $95, so if you assigned all 100,000 of your ISRCs in a year the cost per ISRC would come out to less than a cent. Incredible value. Registering with Nielsen SoundScan costs $9.99 per album, which is affordable. But if you’re registering a lot of albums, naturally, you’re going to be spending a lot more money. Finally, individual certifications with the RIAA cost $350, while non-members pay $450 per certification. 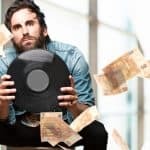 Assuming you aren’t registering any albums with SoundScan just yet, you’re going to pay roughly $600 to $700 to get your label up and running (including a certification with RIAA). Again, the exact costs will vary depending on your region and which organizations you register with. But the costs are worth it, because you want to be operating as a legal entity. Breaking the law is going to prove far more expensive than following the rules. While registering a record label doesn’t take forever, there are plenty of applications for you to fill out and fees to pay. You probably won’t be able to get it all done overnight. And, the reality is that there is a lot more to starting to label than just registering your business. You’ll need to go through a music distributor to get your music out to Spotify, iTunes, Apple Music, Amazon and so on. You’ll need to stay on top of music industry events that would be good for you to attend, check your sales and streaming data, set up a website and more. DITTO Music has a cool product called Record Label in a Box. They have three packages. Basic costs $199, while Premium would run you $399 and Professional totals $599. Naturally, the more you’re willing to pay, the more features and benefits you’ll get. But even at the Basic level, you get a high-end certificate for your label, 12 months of unlimited music distribution, personalized ISRC codes and Sole Proprietorship set up. A Sole Proprietorship is a little different from an LLC or S corp but can still be a good business structure for those just getting started. So, this is a convenient, cost-efficient solution for setting up your label. Plus, I’ve talked to the good people at DITTO, and they tell me they also offer support at every stage of the process should you need any help. I get it. Any amount can seem like a lot when you’re living paycheck to paycheck and not making much money from your passion. Maybe a label isn’t what you need right now. Perhaps spending time honing your craft, building a fan base and increasing your visibility online and off would be a better use of your time and resources. I know there are a lot of benefits to starting your own label. But you also need to keep in mind the extra work that’s going to come with it. So, building your brand as an artist could ultimately lead you to better opportunities. But let’s say you’re serious about getting a label set up and you just need to find a way. Then what? I think it’s a matter of breaking your goals down into bite-size chunks. Could you play six shows and earn $100 from each? Or, if you’re still just getting started, could you book 12 shows that pay $50 apiece? Would it be possible to take pre-orders for your next release? At $10 apiece, you’d need to sell 60 copies. Could you set up a crowdfunding campaign (and appealing perks for your audience)? With a 30 day campaign, you’d only have to raise $20 per day to get to $600. Could you get a raise at your day job or take on extra hours? You’d only need an extra $100 per week to make an extra $600 in a month and a half. Could you take on a side hustle – driving Uber, becoming an Airbnb provider, dog walking, freelance writing, graphic or web design work, marketing, social media, SEO or something else? Depending on the contract, you could earn $600 in one fell swoop! Now, keep in mind that these are things you would do on top of anything else you’re already doing to earn money. Otherwise, you can’t make any extra money, can you? And, this isn’t an exhaustive list by any means. There are many other things you could be doing to earn money on the side. Keep in mind that in the grand scheme of things $600 isn’t that much money, and you would only need to take on extra work for a short amount of time to earn the extra money you need. I think having an online presence as a label is a wise idea. The main ways people listen to music online include YouTube, Spotify, Google Play, Pandora and so on. Sure, radio and live performance are still important, but you’re probably going to miss out on a lot of opportunities if people can’t learn more about you and your artists online. Again, as I recommended earlier, you need to do your research before registering a business name and domain name. These are still decent domains, but you’d probably need to put a little more marketing muscle behind them to get them recognized. Likewise, if you can secure the same username across all the social networks, it can set you up for success. Facebook, Instagram and Twitter are a good place to start. 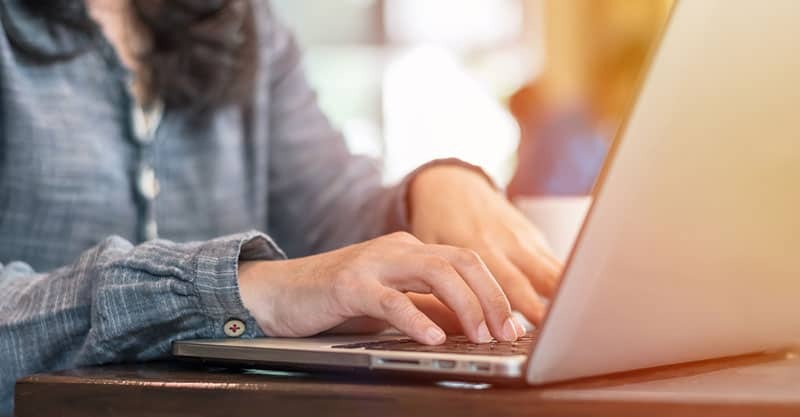 But you just never know which networks you’ll end up using or needing later, so registering with every network you can find early on is a good idea. Another advantage of having a website is that you can get a lot of exposure in a short amount of time. Even a small amount of money can go a long way with advertising. I sometimes get asked how to take a label national. Maybe I’m not understanding the question, but from what I can see, wouldn’t it just be a matter of setting up a Facebook page, running a “like” campaign and targeting audiences across the United States that are in your demographic? Even dropping a couple hundred dollars on an ad like that could help you get huge exposure. Could you afford $40 per month, even? I get that you probably want to appear in the papers, on radio, on TV and so on. But you’re never going to get the media to cover you if they don’t know who you are in the first place. So, you might as well tackle this head on and do everything in your power to get your label in front of people. Publish content on your blog. Issue press releases. Create a presence on social media. Advertise. Create merch. Go to conferences and events. Don’t hold back. Also, write, record and publish a lot of music. You need to make the world aware of what you’re up to. Registering your label doesn’t need to be hard. It will require a bit of time, patience and money, but that’s about it. Turning it into a full-fledged business, on the other hand, can be effort-intensive. 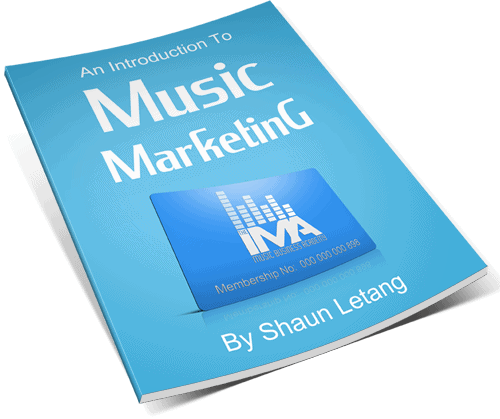 You need to build your stable of artists and release new music on an ongoing basis. You need to make this as sustainable as possible, especially early on. And, you must market your label. Sure, in some rare instances, if your product is good and there’s a hungry market for it, your label will grow without much of a push. But that’s rare. Most businesses don’t take off without smart, targeted marketing. And, don’t forget to reward and treat your talent well. They are the faces of your label. They’re the ones bringing your message out into the world. They need you, and you need them. What Are The Chances Of Getting Signed To A Record Label?